There are a variety of different media types available for your home theater system. Super video compact discs (SVCD). Digital video discs (DVD). Blu-ray discs. Media files of a number of types, AVI, MKV, WMV, MPG, and MOV files, to name a few. And to top it off, you can stream movies from the Internet through a variety of free and subscription services. The problem with all these different formats is that to make use of all of them, you must have a specialized player for all of them. SVCD and DVD discs require a DVD player. Blu-Ray discs require a Blu-Ray player. Some of these players are able to read other various media file formats, but not many can read them all. And, typically, to stream a movie from Netflix, Blockbuster Express, or one of the free streaming sites, you need a network-connected game console, such as a Wii. By building your own home theater PC with a blu-ray drive in it, you can use any of these formats to watch movies on your TV. Here’s how you can do this inexpensively using an extra or old PC that you have lying around, or by using one that you can pick up for very cheap. As stated above, there are a plethora of different types of media formats available for viewing with your computer. With a Blu-Ray drive installed and the right software, there isn’t a media format that will be outside of your reach. Most media formats can be played on your computer with Windows Media Player. For the Matroska video format (MKV file) you may need a special codec. This codec pack will also allow you to play the Real Media Variable Bitrate (RMVB) file format. Personally, I prefer Winamp, since it has most of the required codecs for the various video formats. Windows Media player will also play video discs. However, I prefer the extra features in Cyberlink PowerDVD, especially since it incorporates a full-featured Blu-Ray player. It also plays most media file formats, as an added bonus. Streaming video obviously requires a network connection. But not everybody knows how to run a cable, through their walls, from their router, to a PC in another room. And not everybody will accept living with a cable snaking along the floor from room to room either. This is where a wireless router and network adapter comes in perfectly. You can easily open the case of your PC, configure the router and card, and your home theater is connected to the Internet and ready to stream video. 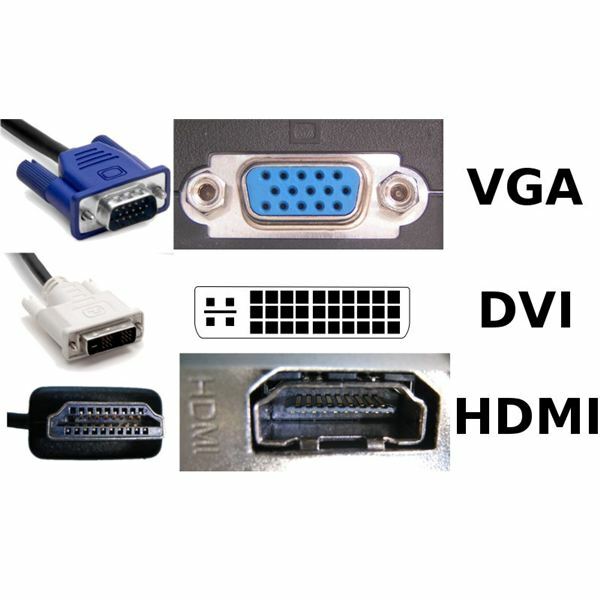 That flatscreen HDTV of yours most likely accepts a number of different video input types, including VGA, DVI, and HDMI, along with the coaxial cable/satellite input. Most PCs built in the past five or six years have more than one type of video output, with the primary being VGA and the secondary being either HDMI or DVI. However, if you have a PC that doesn’t have a secondary video output, you can either use the primary VGA output, or purchase an inexpensive video card with two video outputs. If you have one of the really new flatscreen TVs, it might be 3D-capable, in which case you will want to get one of the new Nvidia or ATI video cards with 3D support. If not, you can save money and just use the VGA output. If you’re like me, you already have either a surround sound processor or a full surround receiver. And, like me, you’re going to want to incorporate that into your home theater system in order to get the full movie theater effect of hearing the sound coming from all around you, instead of just right in front of you. Like with the video subsystem, most PCs built within the past five or six years have multiple audio outputs on the back. Some will have headphone outputs for front, rear, and subwoofer channels. Unfortunately though, these won’t work too well with your surround receiver. 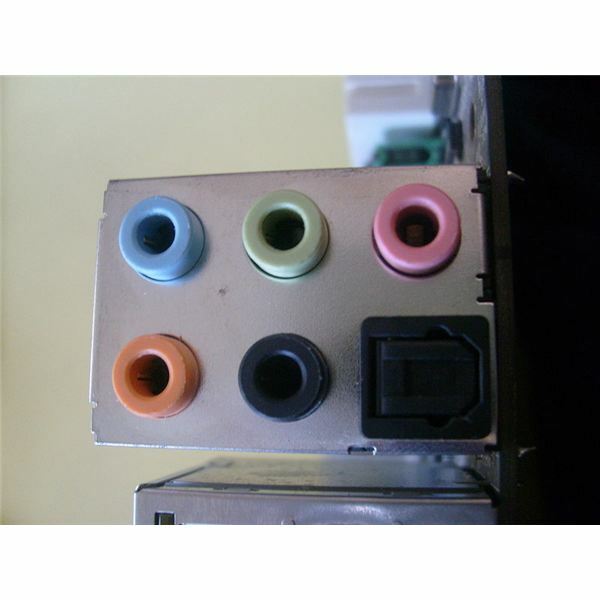 Other PCs will have an output jack that looks like an RCA plug, with a black center insulator. 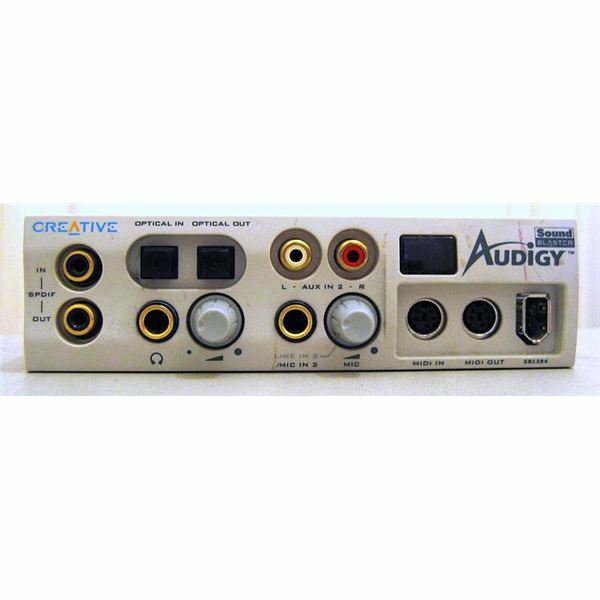 This is a digital audio output, which you can connect to the appropriate jack on your surround processor or receiver and will deliver that full surround sound impact. Still others will have a digital optical output jack, which delivers an even richer surround experience. Although you only need one of these cables, one or both of them might have come with your receiver or processor, which means you won’t need to go out and buy one. If you don’t care about having the full surround experience, the 1/8 inch headphone output, connected to your stereo amplifier by way of an RCA ‘Y’ adapter, is all you need. With these basic adjustments to an older computer, you now have an inexpensive, yet powerful, home theater PC that allows you to view multiple media formats, provides internet access, and surrounds you with sound for that true movie experience. Best of all, you can continue to build or improve upon components as your media needs change and grow. Image of the back of my PC showing audio connectors provided by the author. All rights reserved. Mike Aguilar has over 10 years experience in the computer and tech industry. Image: Audigy 1 livedrive too dark by Caroline Ford under Creative Commons Share Alike 3.0 license. Image Connection screen by various users under the CC BY-SA 3.0 license.